Who runs the world? PR persons. While the poorly-remixed lyric may sound ridiculous at first, it holds some truth. Public relations professionals are responsible for providing information to local and national publics that often heavily influence mass opinion. We control how consumers view brands, people, businesses etc. We have power. But as that one guy in Spiderman told that other guy in Spiderman, with great power comes great responsibility (“manly” reference here). 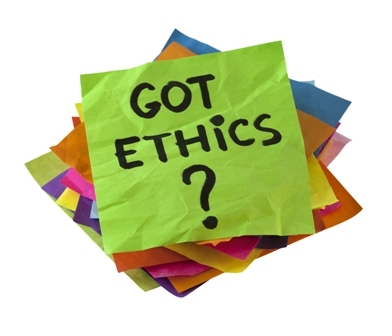 All PR professionals should abide by the ethical standards of the industry. Regardless of a person’s affiliation with a company, brand or product, their primary loyalty should be to the public. It’s a PR practitioners’ social responsibility to be open, honest and accessible when providing information. Any other practices in the industry would justifiably fall under the “spin doctoring” stereotype and should be disassociated with the craft as a whole. Other principles PR persons should adhere to is civic engagement and stewardship. Civic engagement involves taking action, individually and collectively, to find and address issues that affect the public. Stewardship, in a broad sense, means carefully managing something of value. Both of these principles are parallel to the duties of PR professionals. They encourage engagement among the public to help shape and change the public opinion, which is immeasurable in value. Our current partnership with BRAC encompasses all of these principles. Social responsibility is at the forefront of our partnership because both parties seek the same outcome. BRAC cares about the public, which in this case is the Baton Rouge area community. Together, we are aiming to ensure Baton Rouge and the surroinding area continues to thrive. Our plan is to engage the Baton Rouge area community members through SCNVGR, a geo-location based mobile gaming application (more details in the last post). The application will be a fun way to encourage community participation and promote the creative, interesting things the city has to offer. The city of Baton Rouge is something that Bengal Communications, BRAC and hopefully residents consider to be valuable. It is our collective mission to care for and help manage the promotion of the area. I’m excited to be a part of this team and in this service-learning class. We are learning to do PR the right way. Finally a manly reference! Just kidding, a very outstanding point that the loyalty of PR persons should be to the public, therefor abiding by the ethical standards of the industry. We are too often referred to as spin-doctors and you’re right to say our industry is divided into those who follow the ethical guidelines and those who don’t. The rest of the world believes as PR persons we manipulate others to see things the way we want them to see it. But the profession we are pursuing is so much more than that. This is one of the reasons I chose to make the headline for my blog “the journey of an amateur spin-doctor,” as a play on this- even though I don’t think Jensen knew it was a joke when grading my first blog post. With the creation of these SCVNGR(http://www.scvngr.com) treks for BRAC(BRAC.org), our class will be able to show the right side of PR and doing things for a benefit of the greater Baton Rouge area, not just ourselves. I’m excited to get the community buzzing about all the hidden gems our city has to offer and look forward to Decouvrir and their arts and culture focus working with your group Bengal Communications to do so! Add me to your professional network on LinkedIn (http://www.linkedin.com/profile/edit?trk=hb_tab_pro_top) and thanks for the follow the other day on Twitter(@ericakays)! This entry was posted on March 11, 2013 by David Jones and tagged Baton Rouge, BRAC, civic engangement, Public relations, SCVNGR, stewardship.